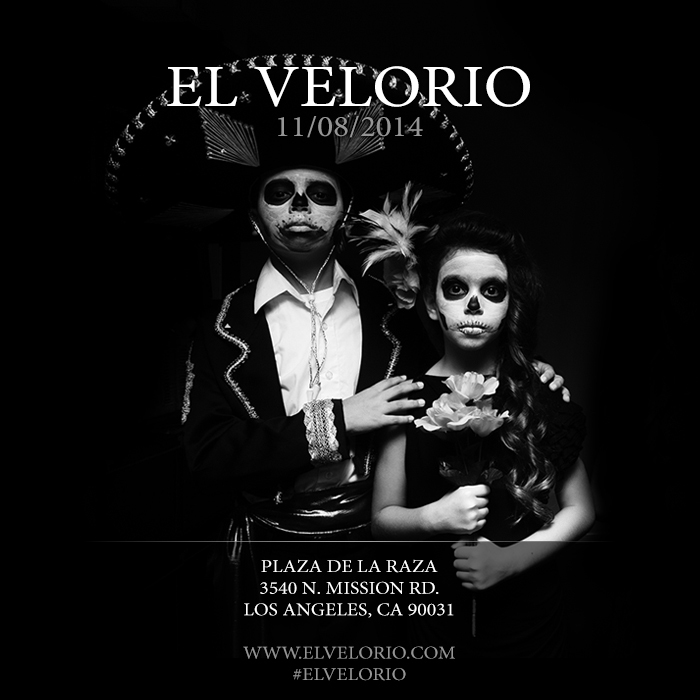 I'm excited to participate this year in El Velorio, a Day of the Dead themed art exhibition and event held November 8, 2014 at Plaza de la Raza, 3540 N. Mission Rd, Los Angeles, CA 90031 (Lincoln Heights). Check out the artwork in the exhibit here. This family-friendly event will have face painting, music, food, and plenty of art to enjoy. Get your tickets soon, as this popular event will sell out quickly. The inspiration for “El Mariachi Muerto,” my large ofrenda or altarpiece which will be exhibited at El Velorio, came from the many visits to Dia de Los Muertos on Olvera Street with my wife and her family over the years. My father-in-law has built an altar on the plaza a number of times, and I was inspired to create my own after witnessing the vivid colors surrounding the event. The colors of the food, costumes, and decorations gave me an opportunity to build and paint my own altar. I wanted to convey the richness that surrounds this annual celebration of family present and past. For purchasing inquiries contact El Velorio Curator Erika Hirugami.